VR/AR sales were expected to pick up strongly in late 2016, yet the opposite has happened. Experts blame an immature ecosystem. Sales for the HTC Vive, Oculus Rift, Gear VR, Google Daydream, and PSVR are all weaker than originally anticipated, according to analysts. The reasons for the weak demand are likely down to lack of content and high cost, DIGITIMES reports. In short, it's still not mature enough. While it's far too early to say that VR will fail (as some have opined) there are definitely some key issues that consumers and investors should take note of before putting money into AR or VR: Firstly, it is expensive. 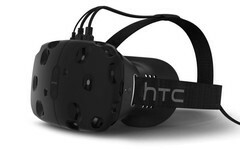 The premium experiences of the VIVE and Oculus Rift requires both a powerful (and expensive) computer as well as the devices themselves, which cost US$799 and US$599, respectively. Secondly, due to low demand, longer development times, and higher costs, there just isn't enough content out there for VR. Many of the titles are quick distractions at best or unfinished proof-of-concepts at worst, with very few "must buy" exclusively VR titles driving sales. Ultimately, there are just a handful of decent games for each platform at the moment—and many of them are platform exclusive, fracturing the library of titles. As a result, DIGITIMES predicts a rough 2017 for companies heavily invested in AR and VR, including HTC Vive, Oculus, Asustek, Acer, and others.